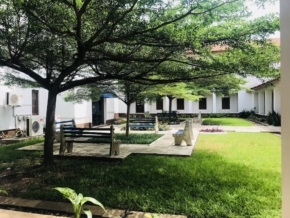 For three days in early July 2018, I worked with undergraduate, masters, and PhD students as one of three workshop tutors in the Accra Architecture Writing Workshop, an initiative led by Professor Ola Uduku of the Manchester School of Architecture in collaboration with Dr. Irene Appeaning Addo of the University of Ghana’s Institute of African Studies. 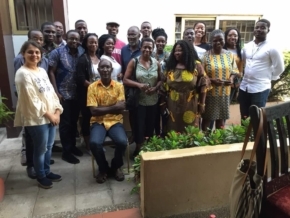 The workshop was funded by the African Studies Association of the UK (ASAUK). 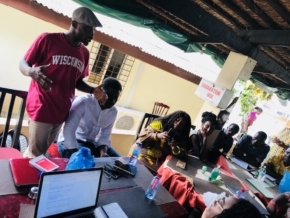 The workshop welcomed a diverse set of participants, studying architecture, design, planning, sociology and related courses at the University of Ghana, University of Cape Coast, Central University, Kwame Nkrumah University of Science and Technology, as well as more widely – including the University of Michigan, Royal College of Art, and Tufts University. Working along with my fellow tutors – Dr. Joseph Oduro-Frimpong, Assistant Professor at Ashesi University, and Kuukuwa Manful, Communications Manager at Oxford Africa and PhD student at SOAS – we broke off into four groups to explore unique sites in the city of Accra: my team explored the University of Ghana’s Balme Library, the others explored One Airport Square, the new Ecobank headquarters, and William Franklin House. 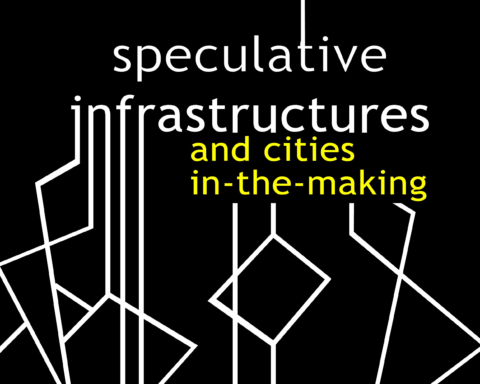 Participants’ research involved desk research, interviews and tours, architectural, social, and behavioral observations, as well as reflections on their own embodied experiences in these spaces. 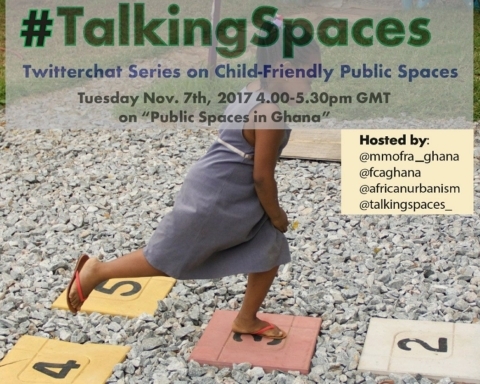 The goal was to emphasize for the participants that their unique voices and perspectives are needed to contribute to the narratives of these spaces, and the city of Accra (and other African cities) more widely. 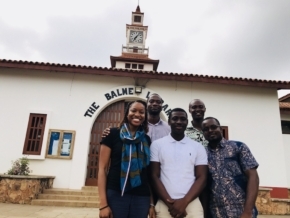 My group explored the Balme Library, the University of Ghana’s main library constructed in the 1950s by Austen Harrison who also designed Nuffield College, University of Oxford), Thomas Barnes, and Piers Hubbard. We began our explorations by walking the perimeter of the library, taking in its compelling front façade and landscaping, discussing its multiple influences (Spanish tiles, a Pagoda-like clocktower, internal courtyards and open spaces) as well as the buildings more recent extensions and adaptation at its sides and posterior. 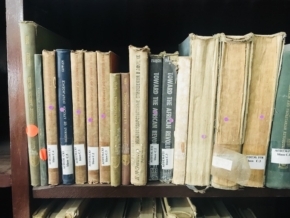 Gabriel Etse, the main reference library, led us through its original spaces like the Africana Resource section (where books on and from across the continent greeted us from floor to ceiling), various reference sections, undergraduate and postgraduate study spaces. We also viewed the library’s newer additions, such as the Ghana-Korea Information Centre. Walking through and around the library provided a material glimpse into history of an iconic structure. 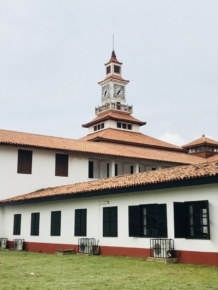 One group member, Emmanuel Banahene Owusu, reminded us that Ghana’s five-cedi note bears the image of the Balme Library; it has only recently been replaced by an image of an oil rig now on the new notes. Each group member used their discipline and particular interest to form a narrative of the building, and over a series of presentations that weekend, refined their insights and arguments with feedback to produce a group or individual writeup. 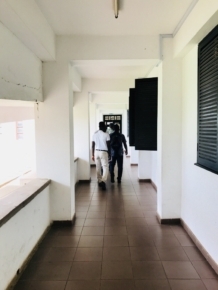 In turn, these writeups, and participants’ continued writings, will feed into an online platform on the built, grown, and social landscapes of Ghana’s cities (and hopefully more widely!). We encountered challenges and questions that we will need to think on for some time to come. For example, how can we as writers put ourselves at the center our writing, and see our own viewpoints as positively valuable? Especially when so often our educational influences teach us to compile and weave together other people’s voices in order to craft our arguments (a process that so often pushes our own voices and impetuses, which spark our research interests in the first place, out of the writing frame)? 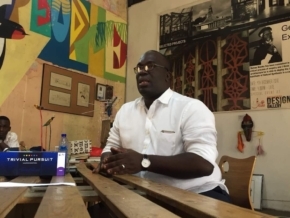 Also importantly, and at the center of this initiative, were points raised by August Richardson, one of the founding architects of Mobius Architecture, the Ghanaian firm that co-designed the new Ecobank Headquarters in Accra. 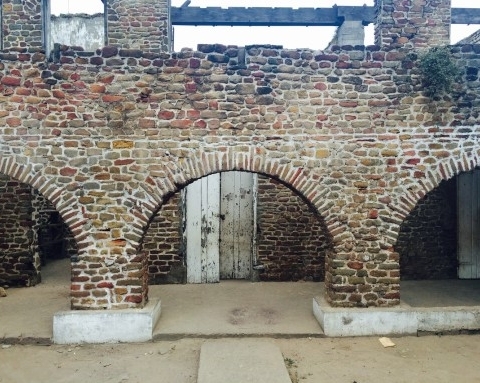 “How do we develop an African or Ghanaian identity of architecture?” he asked us, reflecting on the challenges of dealing with colonial histories within architecture. “We don’t turn away from our colonial history,” Richardson said, “we build on it. The past is there, we respect it, understand it, and build for our future.” Richardson also challenged us to respect art and its influence on supporting creative societies, to build for our actual environmental conditions and cultural and social characteristics (“we are warm people, but we have no buildings that express that warmth,” he said, critiquing local and international architects’ emphasis on designing air-conditioned buildings rather than deliberately designing for (and with) the tropical climates of West African cities and towns. 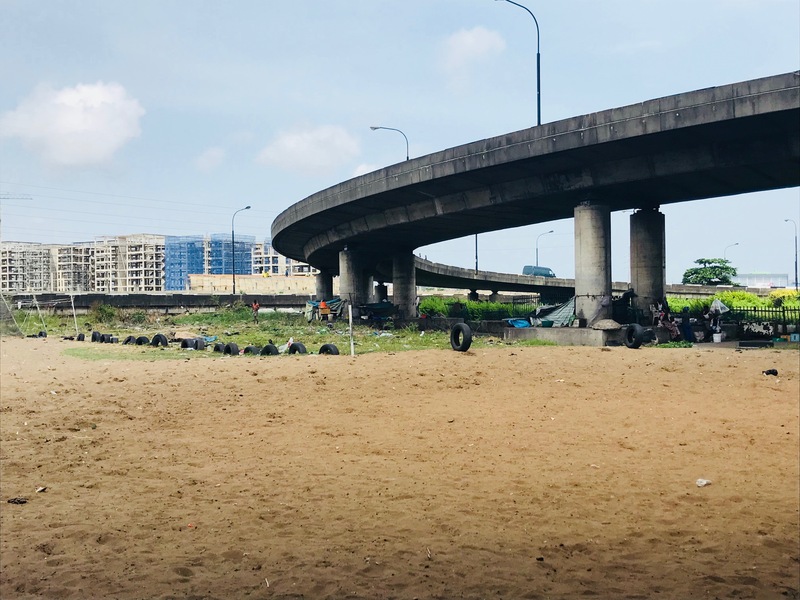 Richardson challenged us to continue to have more critical discussions of our African cities, to find ways to “ground ourselves in architecture,” which involves reinterpreting both our individual and collective African identities. 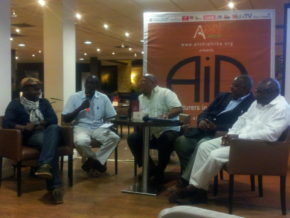 We are optimistic that this platform will generate interest by responding to the needs for local voices. With this workshop now over, we continue to work together to build the online platform African Architectures as a virtual space to host these young writers, researchers, and academics writings. 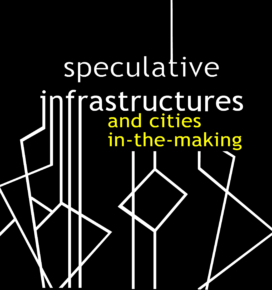 For myself, I envision this as a first of many steps that emphasizes collaboration between local, emerging researchers, where they can speak across their urban-focused disciplines to inform and challenge one another. 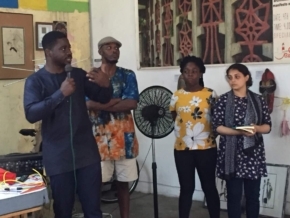 It’s also a step toward amplifying new voices in African architecture, design, planning, and urbanism scholarship. We have critiqued the dominant canon of knowledge that privileges western perspectives and theories, and as we look closer to home for alternative (local) and grounded sources, we begin to realize that we are our own resources.